While surgery can be the best choice for certain conditions, your doctor cannot guarantee that it will succeed. Surgery does not always help solve health problems, and some types of surgery carry great risk to the patient. However, not all negative outcomes result from unavoidable risk. Some people undergo surgery only to walk away with more pain and health issues because of medical negligence. When surgeons or nurses fail to do their jobs properly, they could inflict severe damage. Surgical malpractice can disrupt your life. We are ready to help you put the pieces together and move forward as smoothly as possible. At Elk & Elk, you can expect to work with lawyers who take you seriously and who get to know your case inside and out. We can review your situation to help you decide whether to take legal action. Get legal advice for your possible surgical error claim. Call our experienced attorneys at 1-800-ELK-OHIO for a free initial consultation. Our Cleveland office is located directly across from the MetroHealth Main Campus. Our main office is in Mayfield Heights, an eastern suburb of Cleveland, which is an easy drive from downtown. It is located inside of Landerhaven Corporate Park. Free, convenient parking is available in both locations. Malpractice-related surgical injuries would not occur if nurses, surgeons and anesthesiologists follow best practices in health care. Too often, medical providers cut corners – especially when they are under pressure to treat as many patients as possible during their shift. Despite workload, fatigue and other factors, medical professionals must follow proper procedures. For example, wrong-site or wrong-patient surgeries may occur if staff members mix up patient records, imaging tests or identification. Without double-checking the documentation, a surgeon could begin operating on the wrong person or area. Medical equipment left in the body may have several causes, but one common factor is the failure to account for all equipment both before and after the procedure. Surgeons should record the number of sponges, needles and other tools at the beginning of the operation, and then note how many they have at the end. If the numbers do not match, they could detect and remove a foreign object in a patient’s body before a serious infection or puncture wound develops. Ultimately, many surgical mistakes are a direct result of a breach of standard of care. 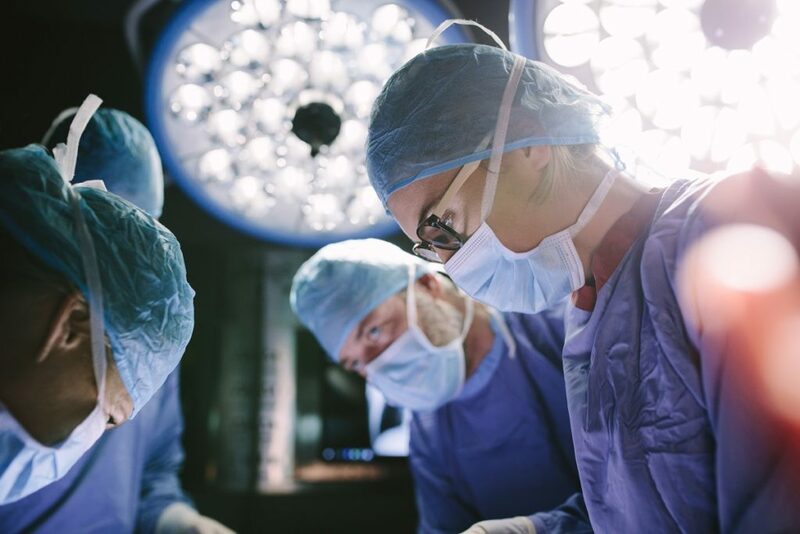 If you learn that your surgeon or another medical provider did not do what he or she was supposed to do, you may have a valid medical malpractice claim. It’s not always easy to figure out whether your injuries are a result of negligence. For many hurt patients, it can take years to realize what truly happened during an operation. For example, you might not detect a foreign object left in your body until it becomes infected or punctures an organ months later. Although you can speak to your previous doctor or surgeon about your symptoms, he or she might not take your health concerns seriously. If you feel unusual soreness or experience odd symptoms, get a second opinion from a different medical provider. A second doctor may first conduct medical imaging tests to examine you internally. If this doctor finds a surgical mistake, he or she can promptly correct it and provide evidence for your surgical injury claim. Time matters for medical malpractice cases. You need to address problems before they get worse – and before you lose your chance to take legal action. If an Ohio doctor, surgeon or nurse hurt you, you have a right to sue for justice. A botched surgery can leave you with intense pain, numbness, physical limitations and mental difficulties. The most tragic surgical mistakes can cause the death of a loved one. A lawsuit may help you recover and lead the most comfortable, fulfilling life possible in the wake of surgical injuries. If you win your case, you can receive a monetary award to cover treatment expenses and other costs. If you are struggling with one or more of these emotional and financial problems, discuss your case with a qualified personal injury attorney from Elk & Elk. Compensation could make a meaningful difference in your life. Finding evidence of your injuries and losses and provider negligence is a main part of your case. However, evidence can be difficult to gather depending on the procedure, existing medical conditions at the time of the surgery, the type of post-operative injury and other factors. Elk & Elk can manage these details for you. Our Cleveland attorneys have the training to research, understand and present scientific evidence in support of your claim. We can assess medical records, medical test results, expert testimony and other forms of proof. The other party will likely refute your claim. Hospitals and medical malpractice insurers typically hire expensive defense lawyers to cast doubt on patients’ injuries or the provider’s liability. They often do so through arguing that the provider performed the surgery properly or that the patient’s injuries have a different cause. For this reason, you need to secure confident, attentive legal representation from a lawyer who understands the unique medical aspects of your case. Our law firm is ready to counter the challenges of surgical error cases. We have won multimillion-dollar outcomes for our clients, and we can aggressively advocate for your financial needs. The idea of a failed surgery is frightening, but the idea of unnecessary failure is infuriating. It is only natural to want the other party to pay for its mistakes. In fact, if you have suffered injuries or loss due to malpractice, you have a legal right to compensation. Call 1-800-ELK-OHIO to talk about your case with one of our accomplished lawyers. You may also make a free appointment online at our Cleveland or Mayfield Heights office. We will not charge you for our services unless we win your case. We are determined and committed to reaching justice for you.